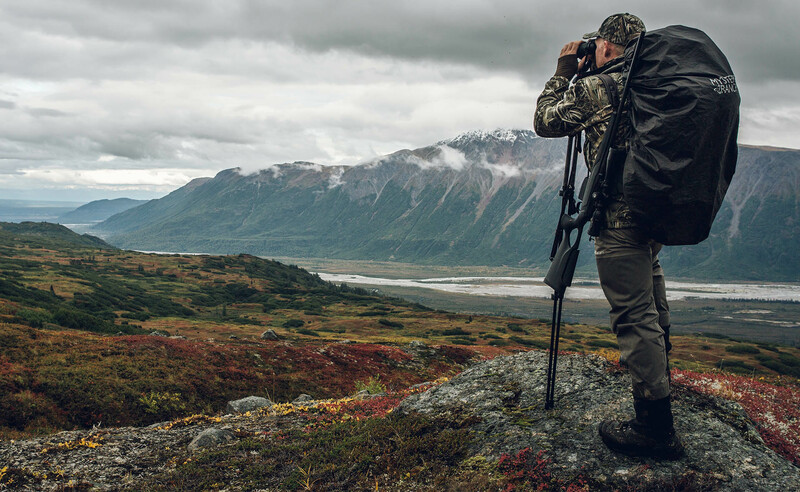 Top hunting essentials for the mountains of Alaska. 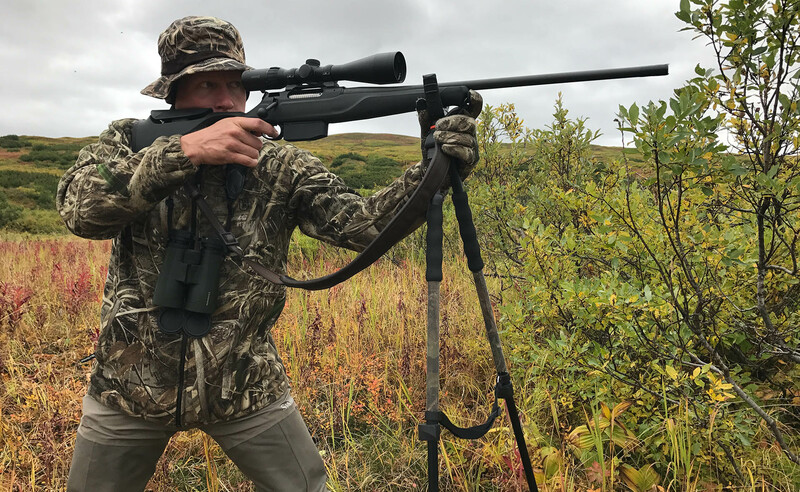 From boots to underwear, Ian Harford gives us the low down on his top essentials for hunting in Alaska. 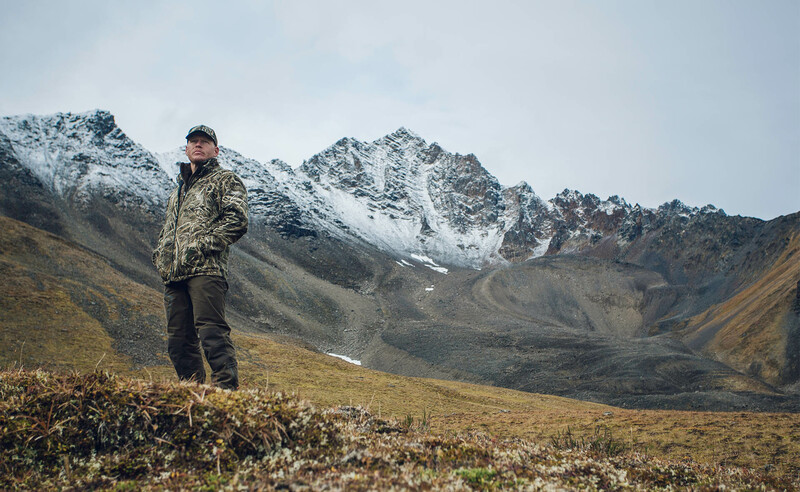 The weather is very unpredictable when hunting Alaska and I need to be ready for the sudden changes in temperature and weather conditions. It’s safe to say i’ll be experiencing all seasons in one day. 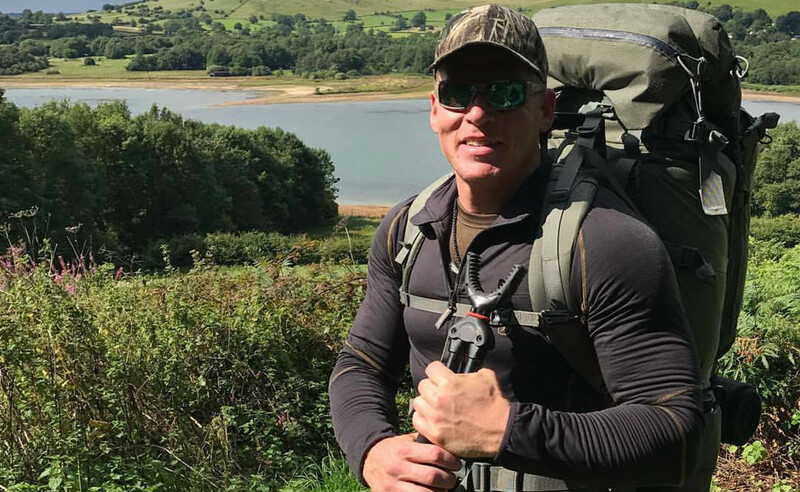 Every piece of my equipment is carefully chosen for it’s specific function and only essential items were taken on the trip, as everything is in a pack and on your back. Waders: Simms G3 Guide Pants. When I was advised by our guide that we would need to invest in a very good set of waders I was quite surprised! We hadn’t booked to go fishing!? Highly recommended was the Simms G3 Guide Pant and when they arrived I could immediately understand why. When selecting the right waders you’ll want something durable to battle against the elements but supple to allow you to climb and move. We knew the weather was going to be changeable and there were days we were rained in due to poor visibility. The Simms G3 didn’t skip a beat, and in my eyes were a life saver. The only downside was they weren’t available in Realtree! The Base-Layers: Deerhunter Dunbar and Greenock Underwear. The weather in Alaska is mercurial, so choosing the right layers is an important decision to get right. One day I could spend time glassing in the sun, the next I could be showered in torrential rain or even snow. So, base layers are essential and it’s worth taking time to research the performance of each. For this trip I chose two different layers. Both known for their insulating qualities, the Deerhunter Dunbar and Deerhunter Greenock underwear garments ensure I remained warm yet dry before, during and after the hunt. The Mid-Layer: Deerhunter Cumberland Quilted Jacket and Waistcoat. I chose the Deerhunter insulating Cumberland waistcoat and Jacket. Both stylish and versatile the all-round jackets are designed to both withstand the unforgiving nature of the weather and turn-heads in public. 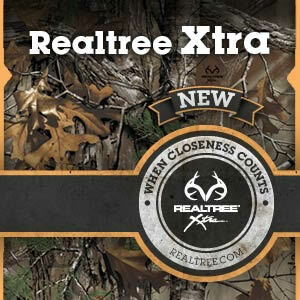 The Outer-Layer – Deerhunter Avanti Jacket in Realtree Max-5. The Avanti Bonded Micro Fleece is a high-quality garment ideal to keep me warm when the temperature drops and the wind picks up. Featuring hand warmer pockets and a high neck this practical jacket is also perfect for layering up. Embossed in Realtree Max-5 the Deerhunter Avanti fleece jacket allows me to blend into my surroundings while i’m out hunting on the mountains. 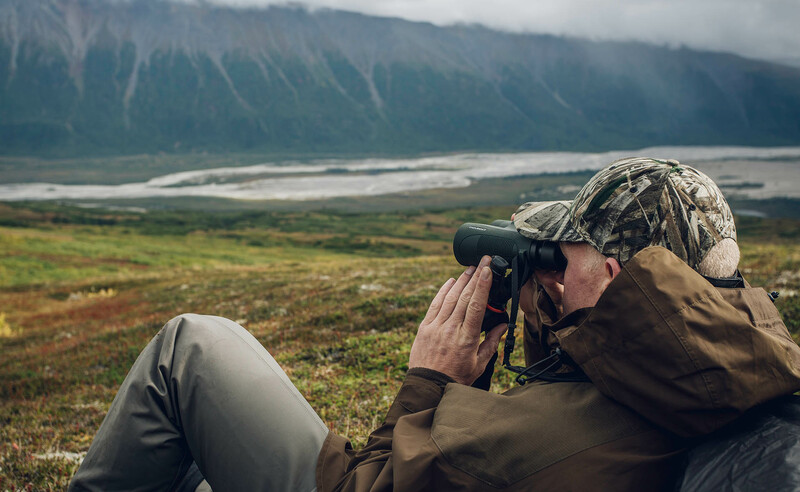 The Over-Layer For Extreme Weather: Deerhunter Track Rain Collection. 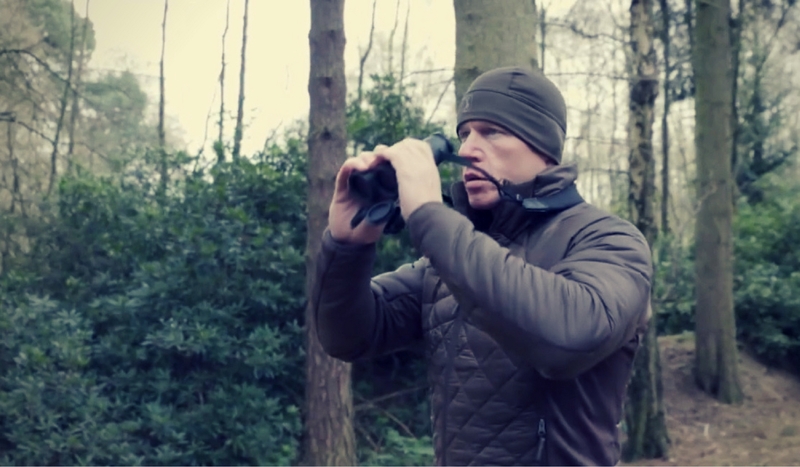 Designed for extreme weather, the Deerhunter Track Waterproof Smock and rain trousers have accompanied me on my deer stalking trips across the UK. After many hours of torrential rain I am confident the Deerhunter Track collection is fully capable of withstanding the elements and I have full confidence it will keep me warm and dry when inevitably, the rain comes down. Shooting Sticks: Vanguard Quest B62 Bipod Shooting Sticks. I rarely goes hunting without my trusty Vanguard Quest B62 Bipod Shooting Sticks. They help me handle the elements with soft foam handgrips and anti-slip rubber feet. Weighing just over a pound it’s great for hiking up mountainous terrain. Its removable U-shaped yoke with rubber fins swivels 360° so I’m able to take my shots at every angle possible without repositioning the shooting stick. A firm favourite of mine whether i’m in the mountains of Alaska or deer stalking on my local estate. Knife: Buck 110 Folding Hunter knife. The 110 Folding Hunter is my signature hunting knife. It has a high-quality, reliable locking folder. The classic 110 never goes out of style and this one is elegant and efficient. It’s finished with an attractive Charcoal Dymondwood handle and polished brass bolsters. Its 95mm stainless steel blade is ideal for a wide range of field applications and resiliently holds it’s edge. This all may look like a lot of gear that needs to fit into one rucksack. But, considering the conditions and mountainous terrain, the focus is a clothing system based upon multiple layers that is waterproof and lightweight. The key is just to make sure you’re insulting appropriately for the conditions. When I’m up moving and walking around that might mean I’m just being insulating by underwear. But when the weather does take a turn for the worst and it gets cold I’ll need those layers to go on top and more importantly keep me dry.